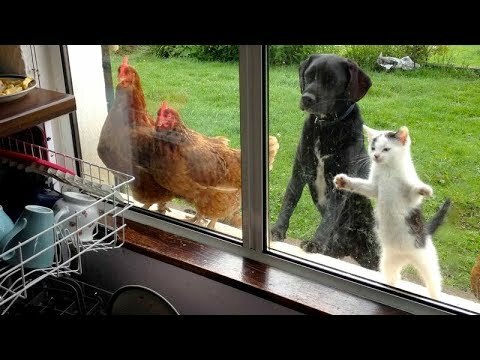 Bet you haven’t seen funnier animal videos than these! You will laugh so hard that you will fall out of your chair! Animals are the best entertainment in the World! They never fail to make us happy and smile! Just look how all these dogs, puppies, cats, kittens, lizard, squirrel,… play, fail, make funny sounds, get along with other animals,… So funny and cute! TRY NOT TO LAUGH! What is your favorite clip? 🙂 Hope you like our compilation, please share it and SUBSCRIBE! Watch also our other videos!